East Meets West Flowers in Pleasantville, NY, provides a personalized touch and adorns your space with luxury and elegance. Add beauty to your home, office, or event with a distinctive custom floral arrangement which blends the pure joy of American and Asian design concepts. 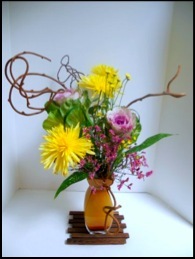 Our flower arrangements create a sense of renewal, wholeness, and calm in the workplace or at home. 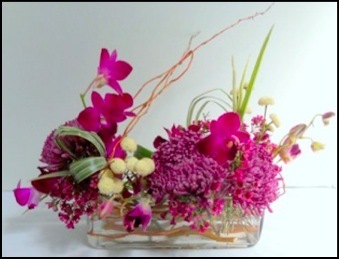 Jan Gordon, of East Meets West Flowers in Pleasantville, NY, offers custom flower arrangements to meet your needs for all occasions. Consider a beautiful lush arrangement to make someone smile, in sympathy, to get well, and celebrations of anniversaries, birthday, love, romance, new baby, thank you, weddings and just to say I care. Remind the recipient of how thoughtful you are. East Meets West Flowers carries an assortment of hip vintage vases that people cherish long after the flowers are gone. 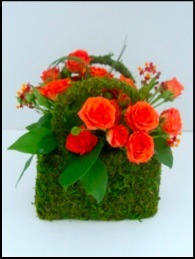 Select a one of a kind container filled with a lush floral arrangement. The vintage vase presentation offers elegance for all corporate and personal occasions. Transform your space by bringing in a beautiful floral arrangement with a sense of elegance, beauty, and nature with a distinctive floral arrangement from East Meets West Flowers. East Meets West Flowers blends the pure joy of flowers with Asian and American sensibilities into beautiful floral arrangements. It’s an artistic expression which simply feels right. When these lush arrangements from East Meets West Flowers catch your eye, they immediately express a warmth and treat for the mind and body. One client who received a distinctive floral arrangement from East Meets West Flowers reported feeling a break from the demands of everyday. Still another client said that the elegant arrangement provided a daily surprise which adorned her table. It reminded her of how thoughtful the sender was. 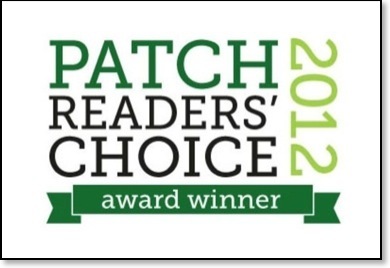 Bring nature and vitality into your home or someone you love from East Meets West Flowers, located in Pleasantville, NY. Consider a beautiful lush arrangement to make someone smile, for sympathy, to get well, and celebrations of anniversaries, birthday, love, romance, new baby, thank you, weddings and just to say I care.